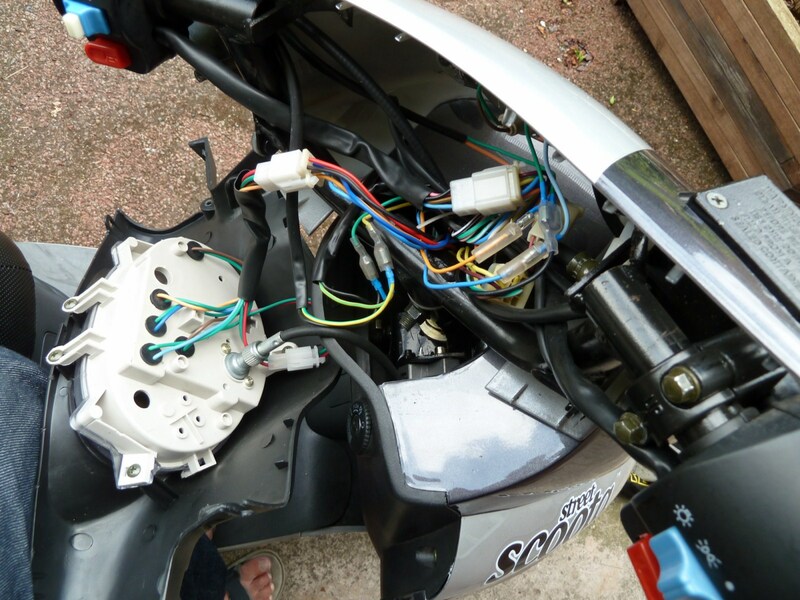 A couple of weeks ago, I was facing the dilemma as to what to do about the exisitng battery meter, which runs off of 48V and is therefore incompatible with the battery bank voltage of bikes that have been upgraded to 60V or 72V. Workarounds have been documented which involved either adding an extra lead to take 48V of the fourth battery in the series, or including a zener diode to reduce the voltage by the required amount, but seeing as the existing meter is – in my opinion – pretty poor anyway, I began to look into the possibility of replacing it with something better that would also accept the new voltage of an upgraded system. Step up Andy Ferguson of Sparklight products. I approached him about a very affordable, miniature LED array battery meter that he sells on eBay, enquiring about his offer to customise the unit. In his Ad he offers the option to specify the colour, the precise voltage threshold and the behaviour of each LED over a 12-point scale. 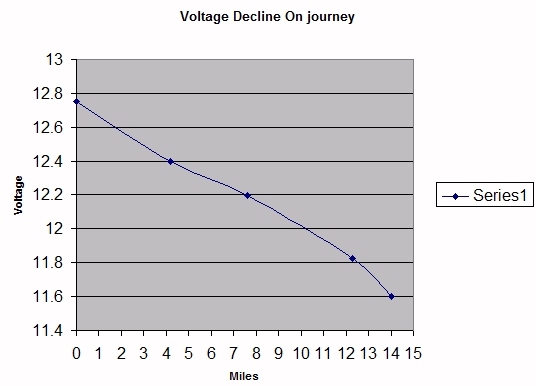 However he only said that he could cover any voltage up to 30V. Nonetheless he was intrigued by the prospect of a new application of his unit, and set about producing a redesigned version of the unit that was capable of handling the higher voltages used by electric vehicles. He was not, however, kitted out for testing such a unit with a suitable power source, so I happily agreed to test the unit when it came, to iron out any teething troubles and have it fixed if necessary. At this point he was also adding new functionality to the unit. 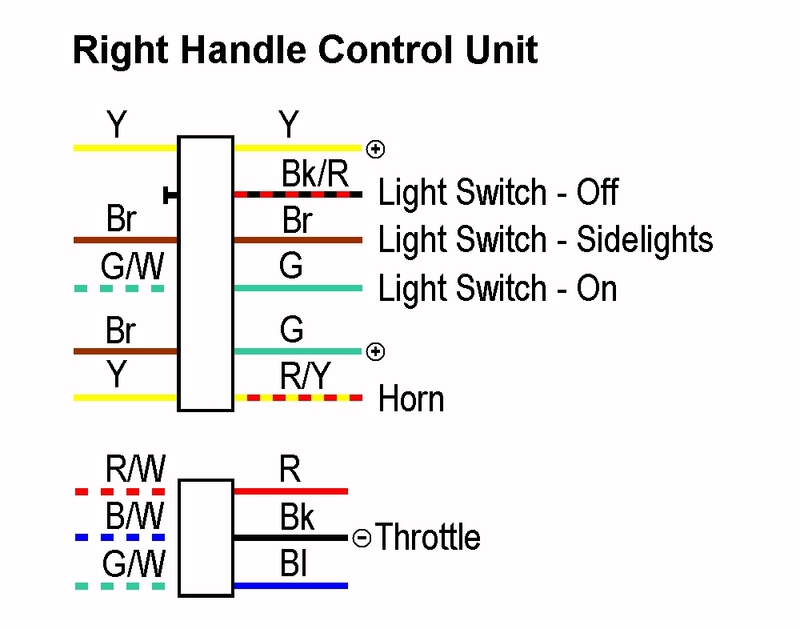 In addition to a users own specific settings for the threshold of each LED, he would also include a few other profile options to reflect different ‘curves’ – different scales that would reflect the range of the voltage discharge in slightly different ways, and with different thresholds and sensitivity. I also needed a change to the original unit’s functionality, whereby the button would not be used to turn the unit on and off, but would occur automatically in response to the presence of the 12V power supply. That way it could be rigged directly into the 12V circuit, and come on and off automatically with the ignition. Within a few days, I had what was to turn out to be the ‘beta’ unit, which I wired in and strapped to my handlebar to test over the period of a few days, periodically taking voltage readings and running through the profiles to confirm that they were as per the specs. Naturally there were a couple of minor issues, and the unit had to go back once to have something fixed, but in all other respects the unit performed perfectly, and was also as accurate as promised. In the mean time, I also took apart my instrument display to see what would have to be done to make Andy’s unit compatible with the existing display plate. Though the LEDs were the same, standard size, they were differently spaced and Andy’s had one extra LED. If I wanted the extra LED to fit, there would need to be an extra hole in the display. The existing case and button was also redundant for our purposes: What we needed was a pair of contact leads extending from the site of the button contacts which could be rigged up to an external button somewhere on the case of the instrument display. The problem with the LED spacing though, would require the unit to be changed so that the LEDs could be engaged with the holes on the display. 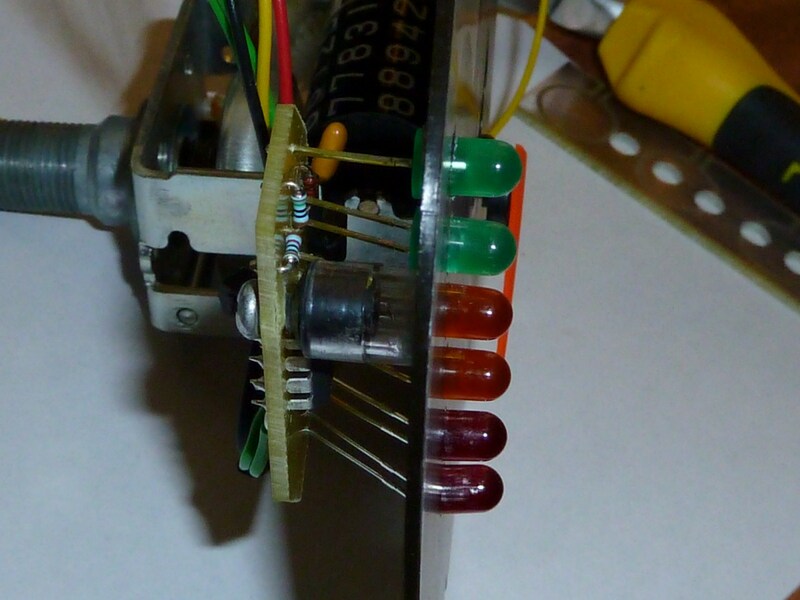 This would involve including about 15mm of LED leg length so that the LEDS could be fanned out accordingly. I duly asked how much it would cost to make the changes, but Andy kindly waved the charges and wrote off the unit as a prototype, saying that he’d build a second, caseless unit, specifically with integration to the instrument display in mind. He asked how long I wanted the button wires to be, and I estimated that 250mm would be sufficient. 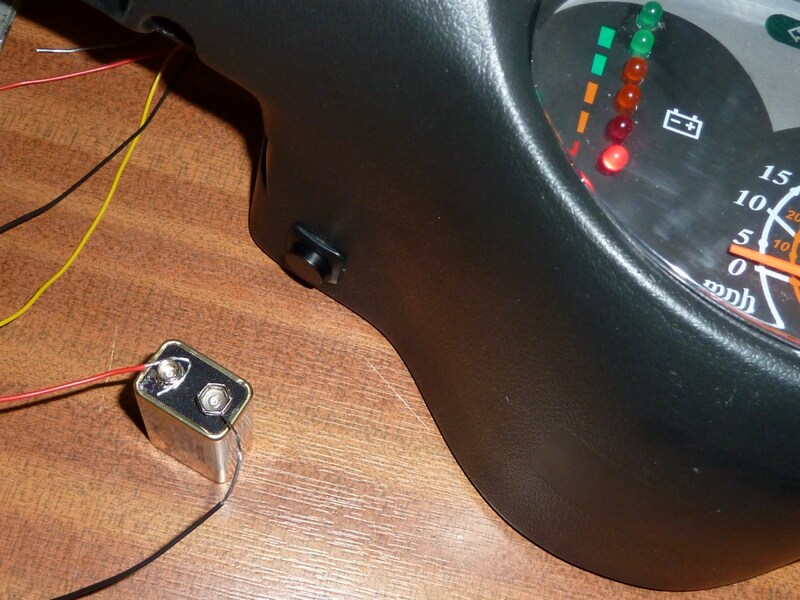 I also asked that the LEDs be brightened slightly, as they weren’t easily visible in sunlight, and I didn’t want them to be afflicted with the same problem as the indicator warning lights on the instrument display panel. 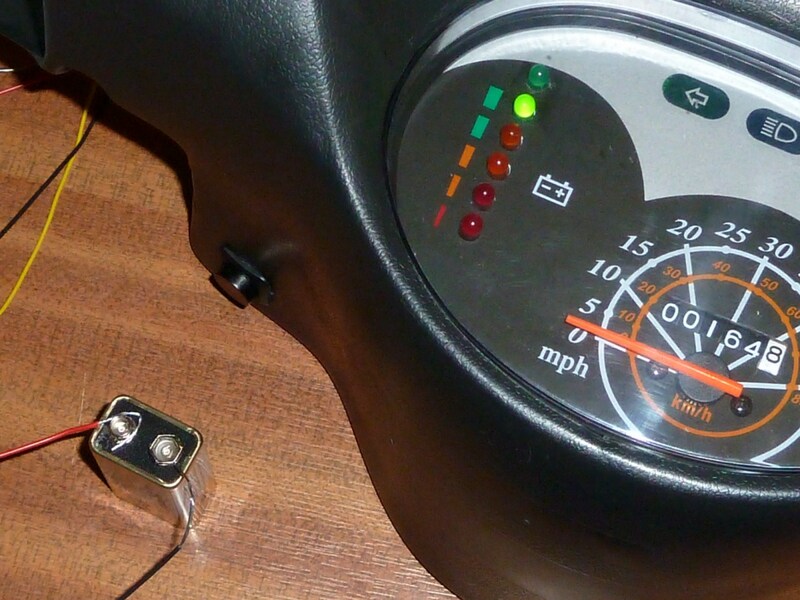 Three short days later I received the freshly made up unit in kit form, suitable for use with the ego scooter or any other electric vehicle with a similar LED battery level readout. 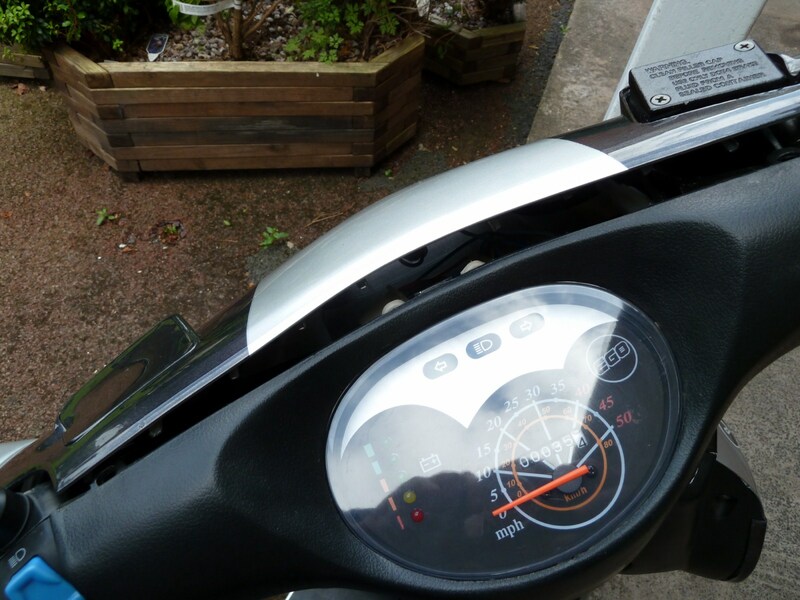 The LEDs had been slotted into a removable, ‘dummy’ plate that reflects the spacing of the holes on the Ego Scoota display, which could be removed prior to final assembly. 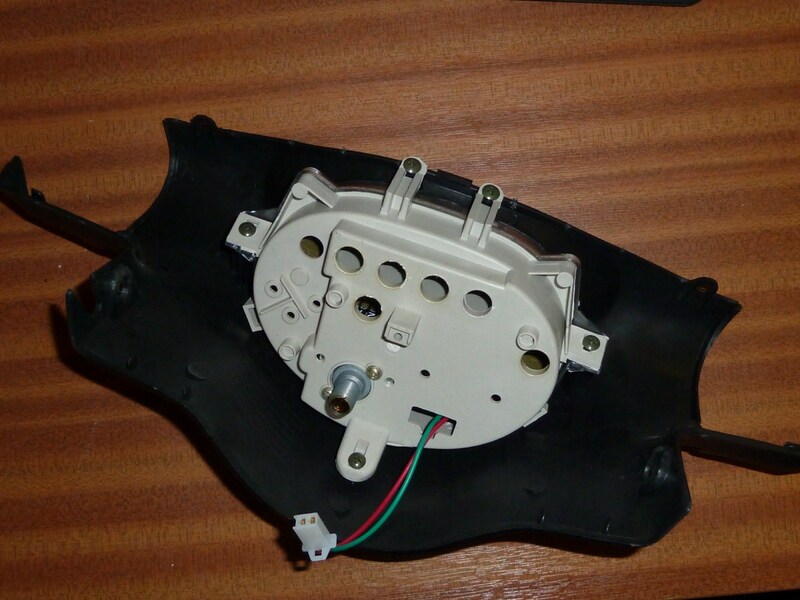 The first thing to do is disassemble the instrument panel. It is held in place by two screws and two flanged, hex-head bolts, one of each on either side of the instrument panel. Remove these and put them somewhere where they won’t get lost. 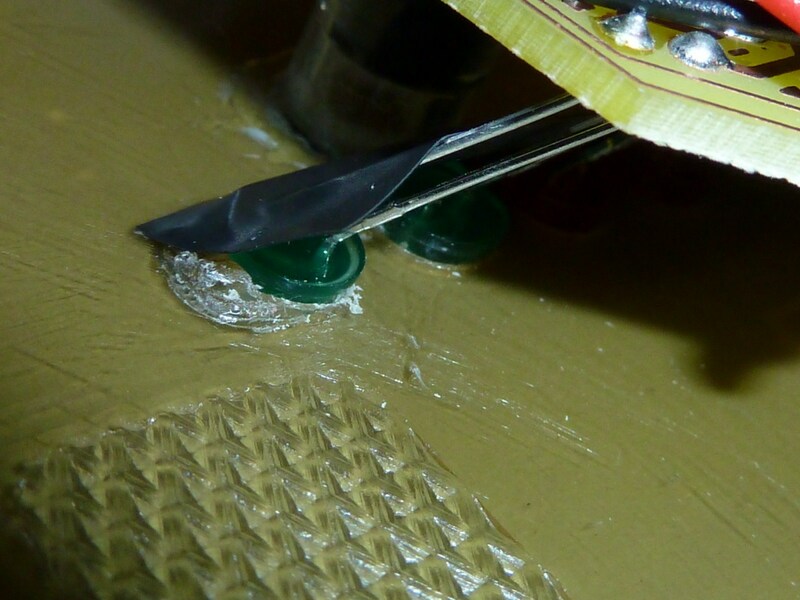 Gently pull the front of the instrument panel free, releasing the plastic clips along the top that secure it. Next unscrew the nut on the tachometer cable and disconnect it from the back of the unit. 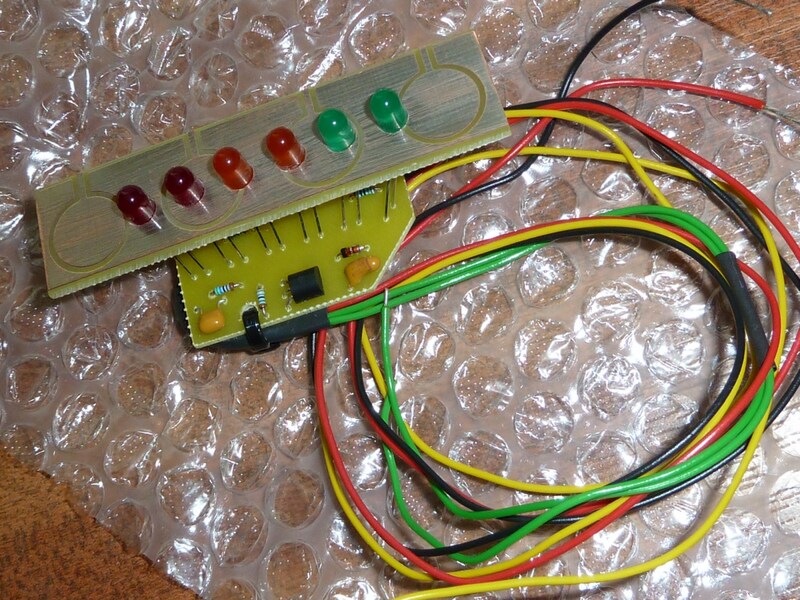 The display panel can then simply have it’s wiring disconnected from its main connector on the loom in order for it to be detached, however for clarity of illustration I have removed all the rubber gromits with the display bulbs from the case of the unit. You do not need to do this; the case will disassemble just as easily with the wiring attached to the back. 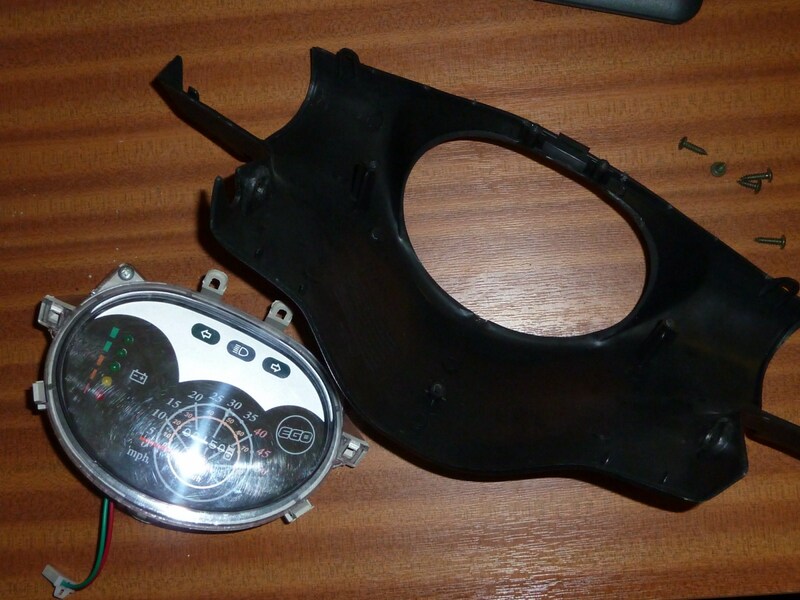 Once you have the instrument panel removed, you will have to remove the display panel casing from its mounting. 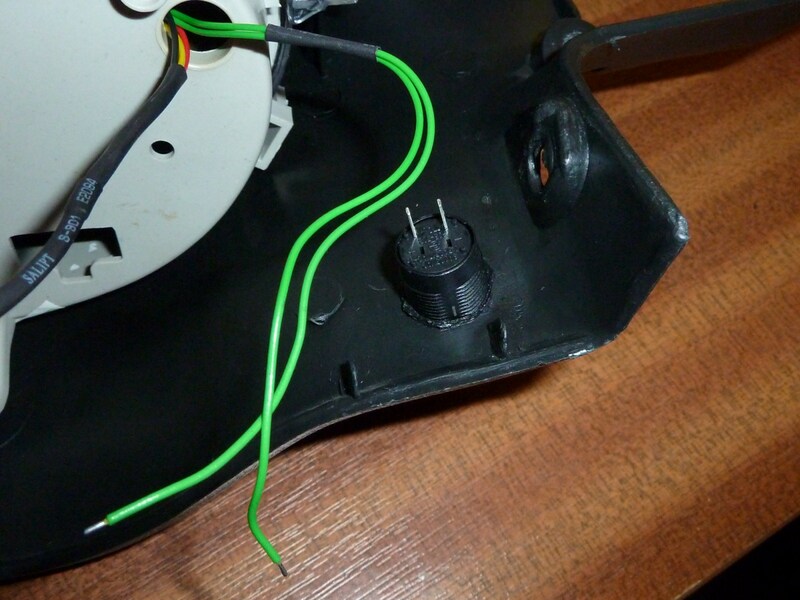 Remove the five screws that hold the instrument panel onto the mounting. 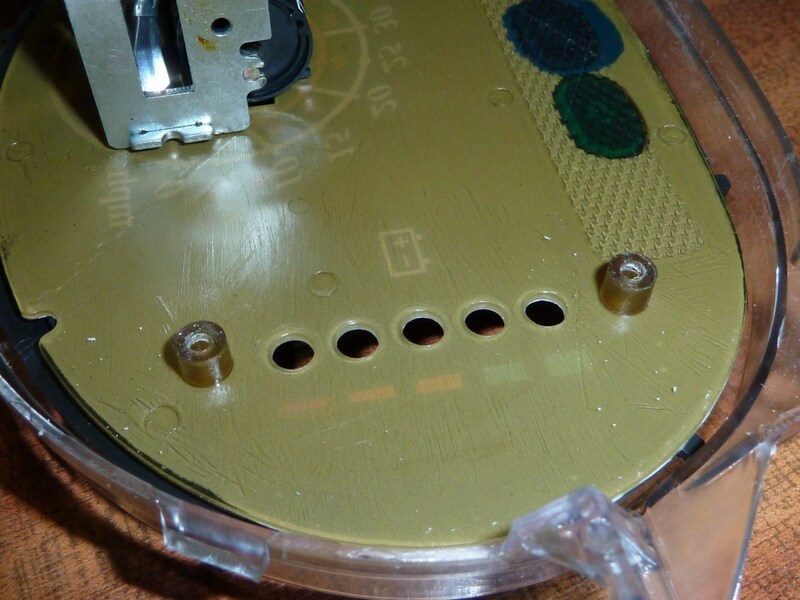 Remove the two screws either side of the top front of the instrument panel. 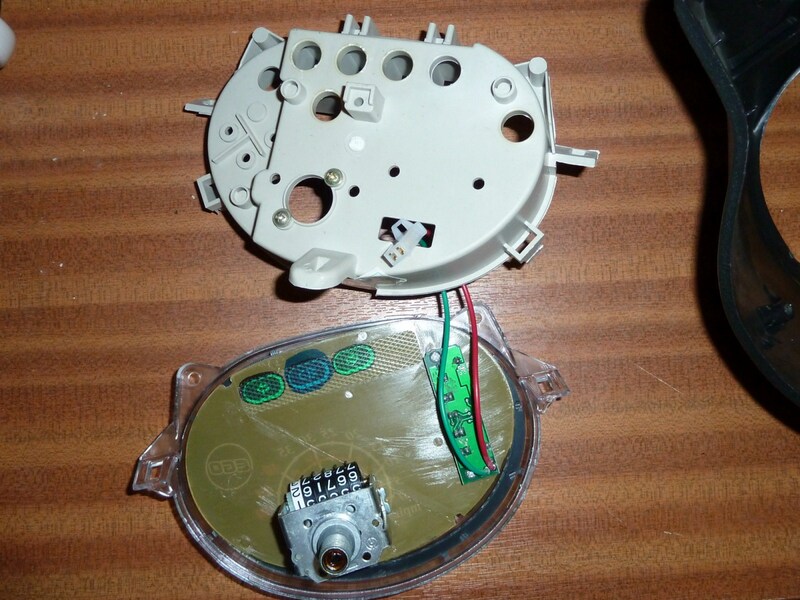 Finally, remove the two screws either side of the tachometer cable socket on the back of the display panel, and open up the casing. 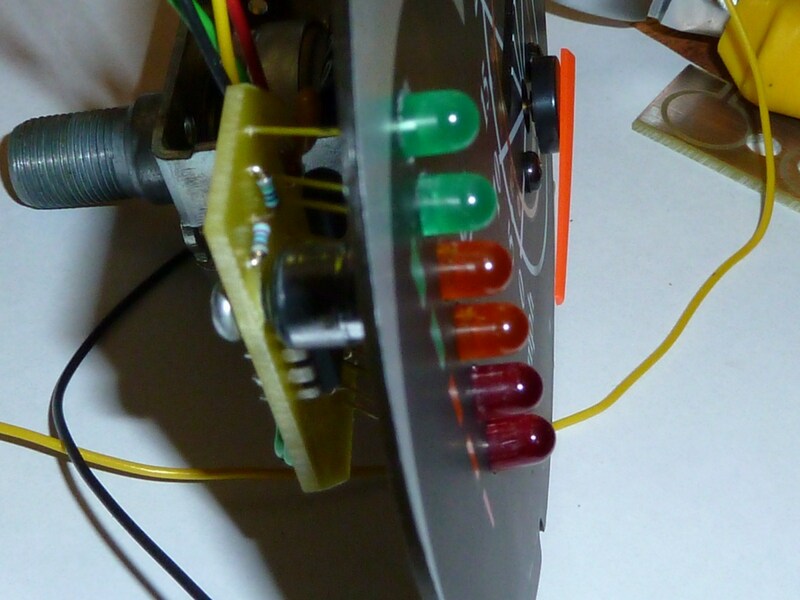 Inside is the factory 48V battery meter, fed by the red (+) wire, and the green neutral. 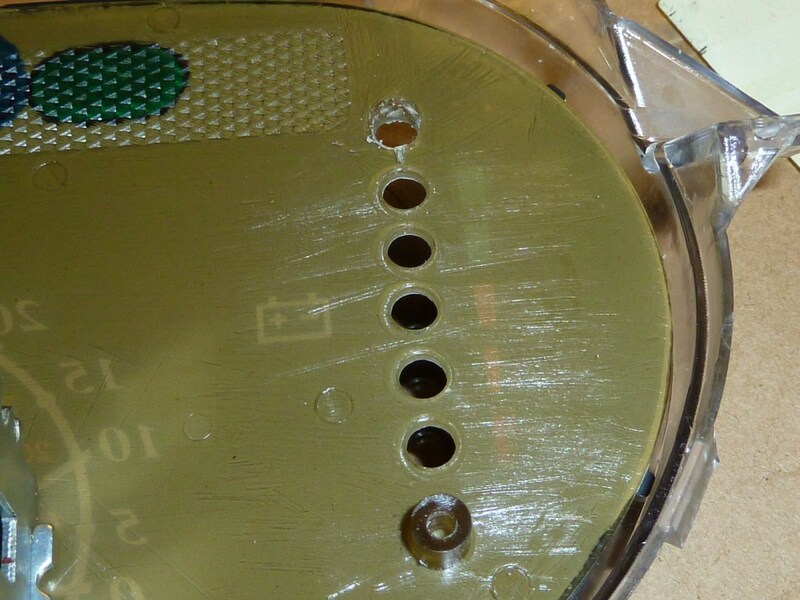 This can be removed, but keep one of the screws to use to secure the replacement PCB. 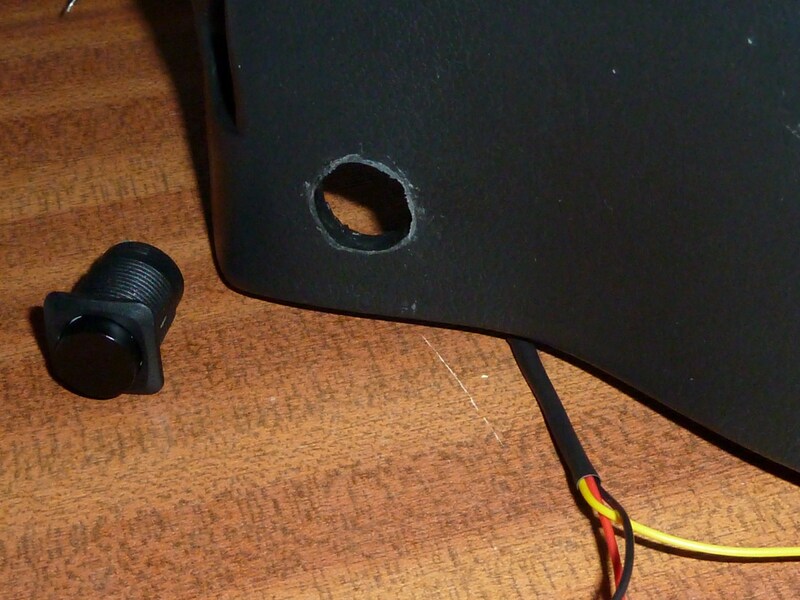 One of the plastic mounts is in the way of where we want the sixth LED hole, so cut it off with snippers. 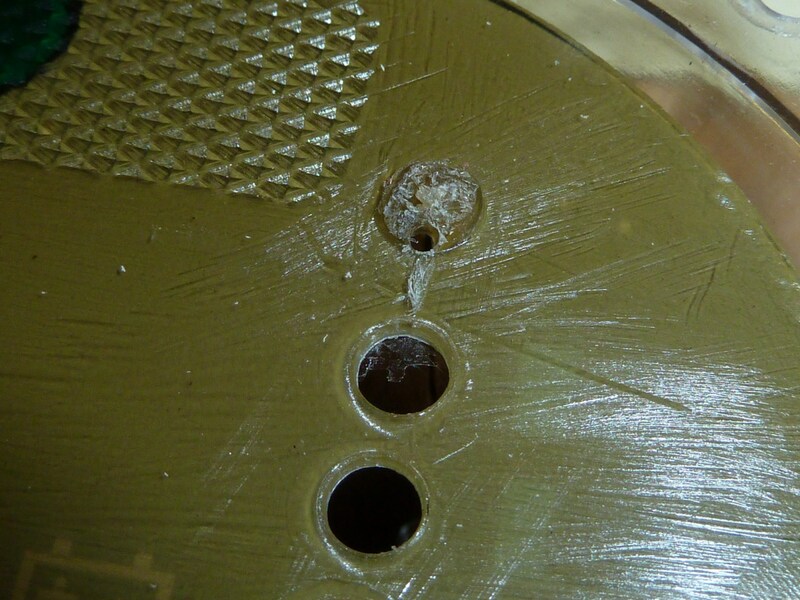 Then measure and mark the centre of a new hole and carefully drill a 1mm guide hole. 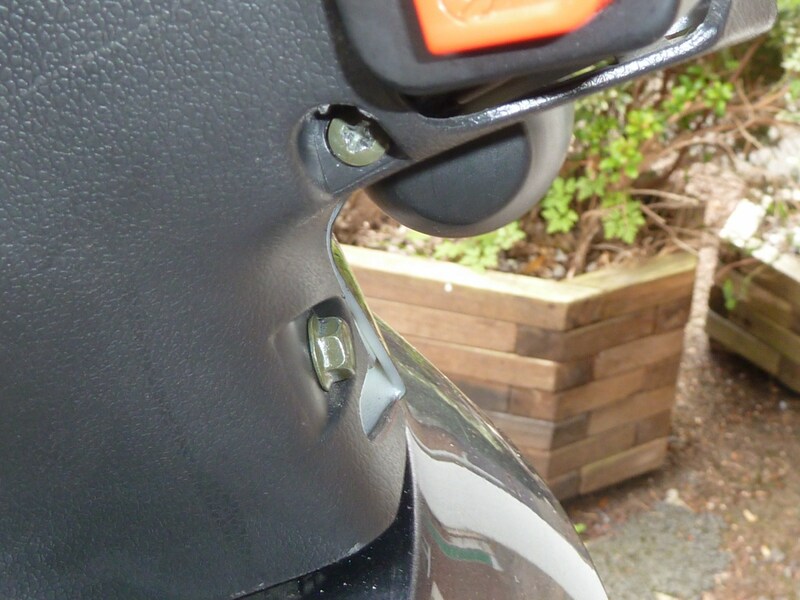 It is a good idea to place something solid in the space between the display panel and the plastic ‘window’ below, to prevent the drill bit hitting the screen. Expand this to a 4mm hole. Drill steadily to minimise rough edges and burring. The display is now ready to receive the LED array on the new battery monitor PCB. The ‘dummy’ mount bracing the LEDs can be removed. It may be a little stiff, so gently apply some force to get them free. 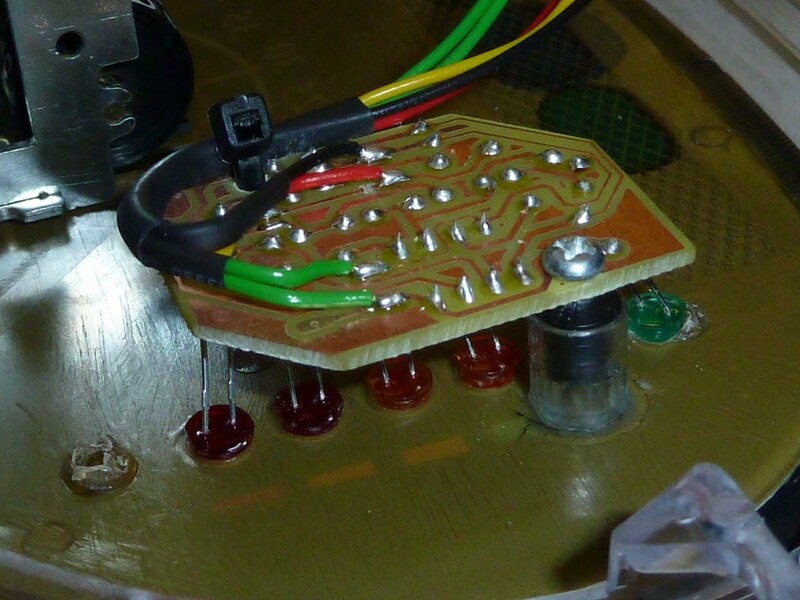 The new PCB with its LED array can then be engaged with the holes on the instrument panel. A perfect fit! Now the new array is seemlessly integrated with the existing display, and looks great! But next we should add a plastic mount to secure the PCB to the board. The LEDS already hold it fairly firmly, but the LED legs will act as little springs, and we don’t want the PCB jiggling about when the bike is in use. I just used a 10mm length sawed off of the end of a transparent biro, which I then superglued to the board. This was ideal because it needed to be transparent, and the top needed to be pliable enough to mount a screw on without it breaking. You can use something else in its place of course but it should be transparent, the reason being that this section of the instrument display is backlit, and the mount is sitting on top of the top chevron of the bar which glows when the backlights are illuminated. Ideally, drill a 1mm hole into the biro-end before you glue it onto the panel. Then it will be ready to receive the screw from the old PCB. 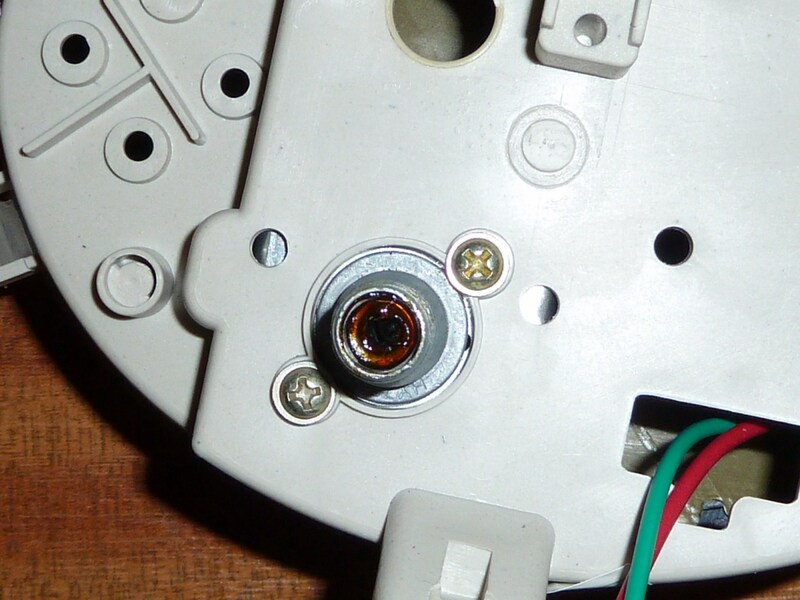 I found the hole on the PCB a little snug for the old screw, so you may need to drill out the hole just a little, but be very careful doing this, and hold the PCB gently in a small vice if you have one. There is one more thing to do before you are ready to reassemble the unit. 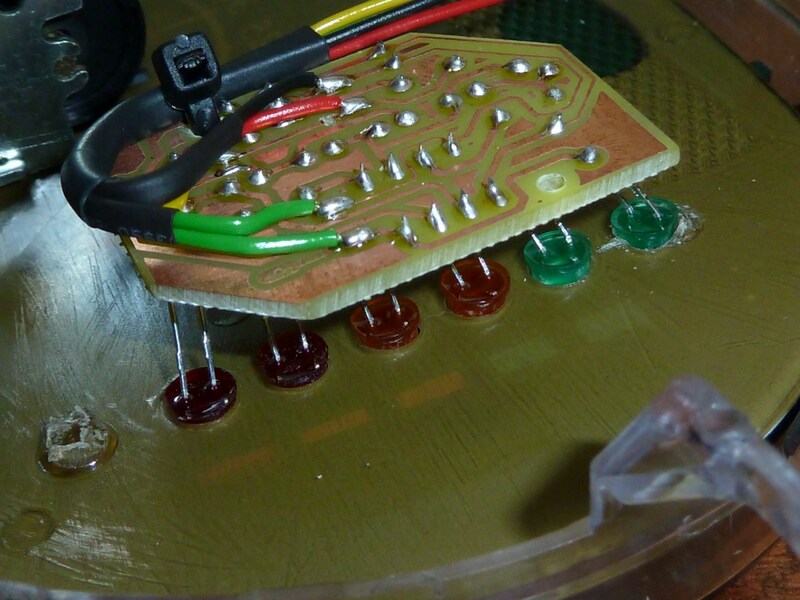 The old LED array was directly seated on its PCB without any ‘legs’, and this blocked out the backlight to prevent the unlit LEDs from becoming illuminated. Use a small strip of black masking tape (about 6mm width is fine) to seal in the LEDs and shield them from the backlight. Run the strip down both sides of the legs so the LEDS are completely sealed in. 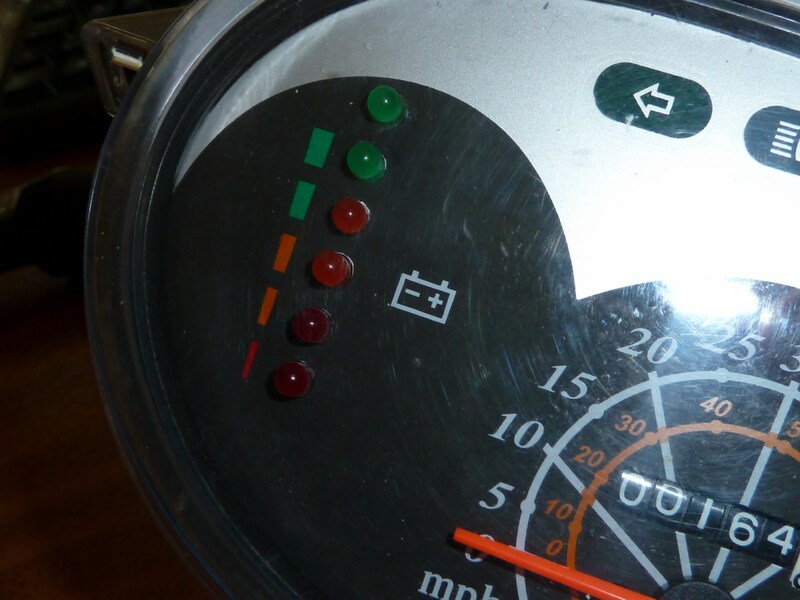 But be careful not to block off parts of the chevrons on the panel nearby, as this will show when it’s illuminated. You might want to test the final result by holding it over a lamp. Now you can reassemble the display case and reattach it to its mounting. Before reassembling the case, I suggest you give the inside of the glass display a good clean with a duster, removing any debris that might have fallen in there in the course of your work. The wires from the PCB should be run out of the display case so they can be wired into the button and the loom. 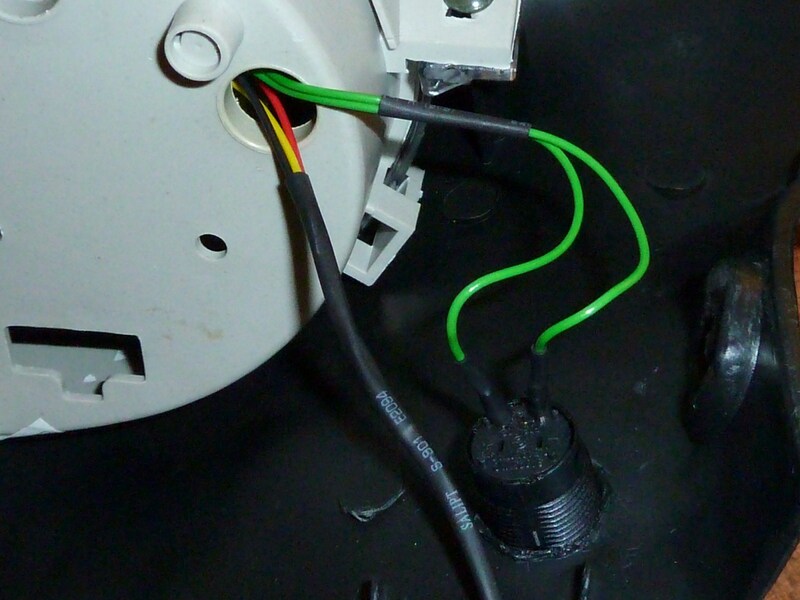 N.B: The wires should feed out through the rectangular hole on the bottom left where the old battery monitor cables used to go, not the hole shown (oops!). The hole shown needs to accommodate the backlight in its rubber grommit. I had squeeze this in over the green button wires when I did mine, as it was too late to move them. Next we need to mount the button on the display panel mounting. I got a button from Maplin, but Andy of Sparklight Products says that one can be included with his kit. I used a soldering iron to just melt the hole, and then cut away the excess with a stanley knife, but a drill-bit would be a better way to do this if you have one of a suitable size. 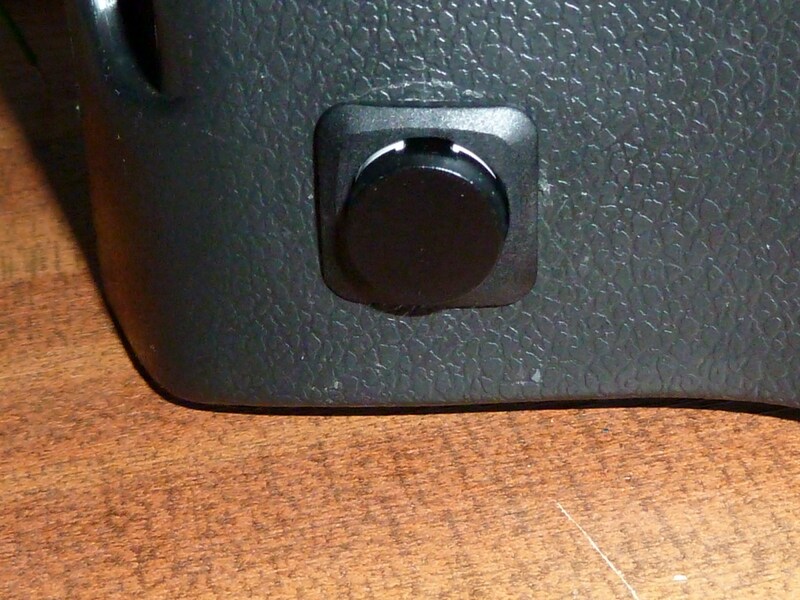 Once the right size, the button can be pushed through or screwed in, then retained by the nut that comes with it if needs be. Next the green wires need to be cut to length and connected to the button terminals. I’ve just soldered them. I’ve added some lengths of heat-shrink here, both to tidy up the wires, and to secure the soldered connections. Next the full assembly can be tested in situ. I’ve used a 12V battery to test mine. 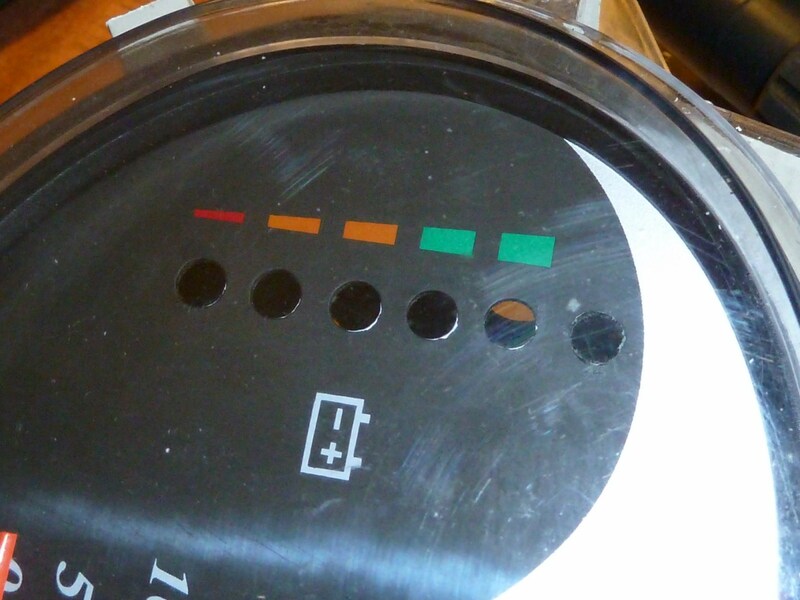 Without any voltage to measure, the unit will read the battery level as ’empty’ triggering the lowest LED state. Now the button can be tested. 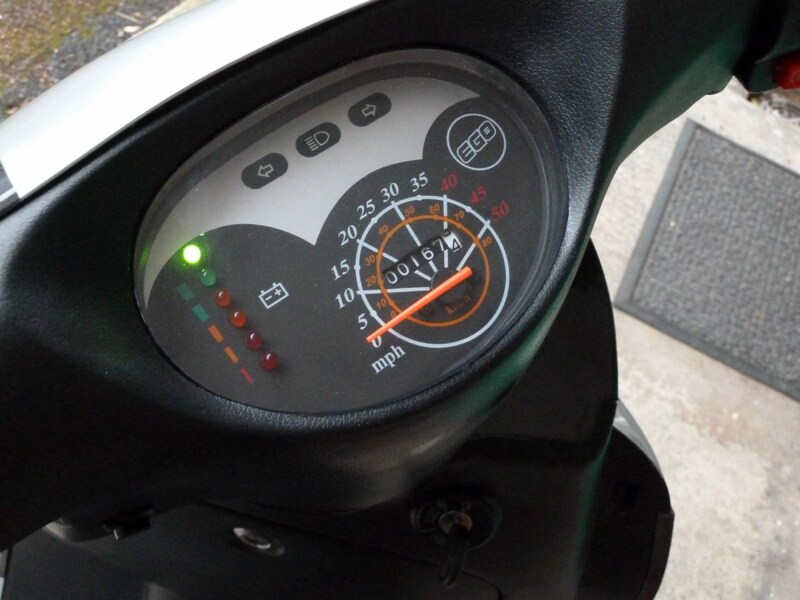 I can now put the meter in ‘select mode’ and select a profile by lighting the relevant LED. The display is now ready to go back on the bike. 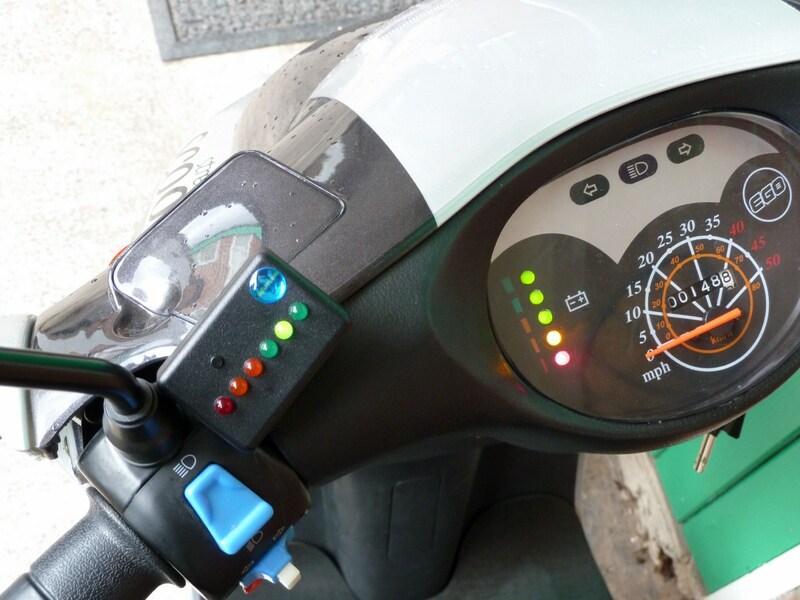 Reconnect the tachometer and wiring loom connectors so that the display unit is ready reattach to its backmount between the handlebars. 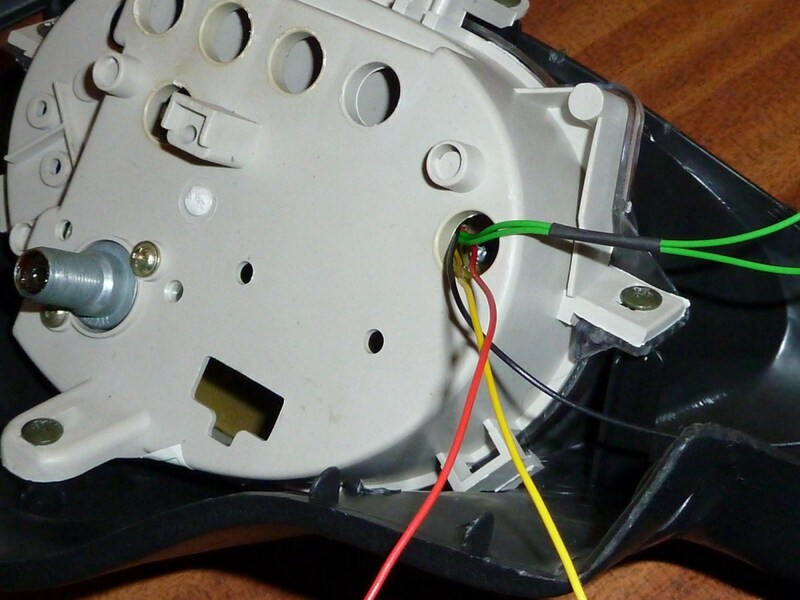 When I disconnected the old battery meter, I cut and sealed off the red/green wires on the male side of its connector to the loom. Then I just fed the wires from the new meter into the sockets on the female side and used the male ‘stump’ to secure them. Remember it is the YELLOW wire that takes the high voltage measurement – this needs to be connected to the RED high voltage feed on the loom connector. Finally the red wire from the battery meter (12V+) needs to be wired into the 12V system so that it comes on with the ignition. 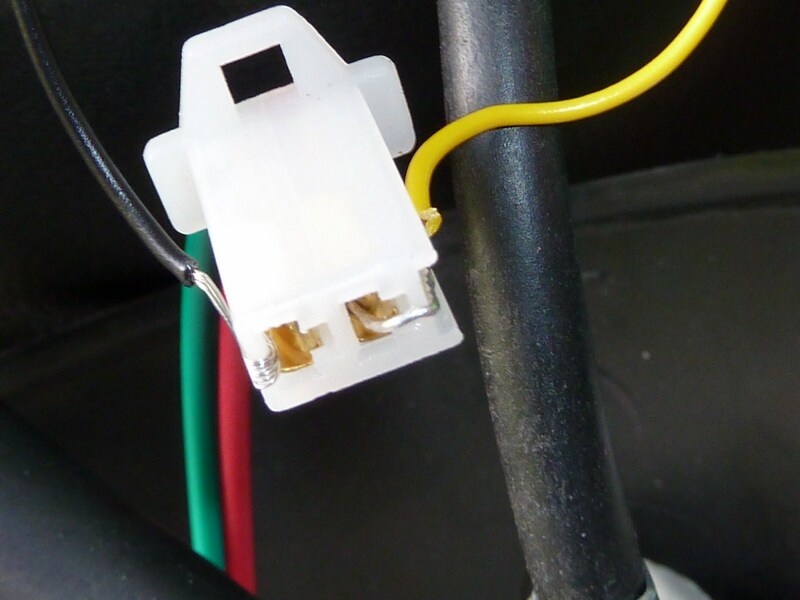 You can rig a similar connection to a 12V live wire from one of the connectors on the loom. I used the live yellow wire from the right handle control unit to supply this. All done. You are now the proud owner of a multi-profile, 12-state, custom-designed battery meter! You are currently browsing the archives for the 4.3. Battery Meter Upgrade category.